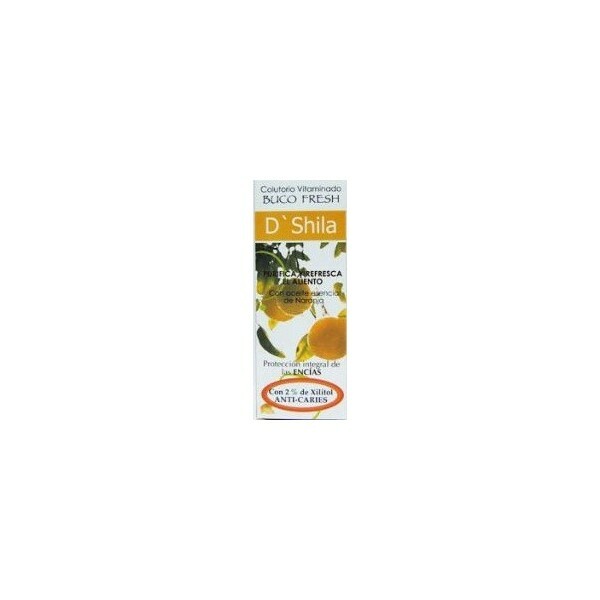 D'Shila Bucofresh Orange Mouthwash (2% Xylitol) 50ml. 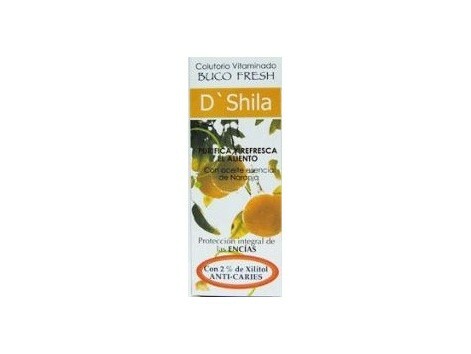 D'Shila Bucofresh Orange Mouthwash (2% Xylitol) 50ml. Special gums. No artificial flavors. Contains 2% concentration of Xylitol. Protects and strengthens the gums, balsamic action, astringent for the gums, and prevents erosion regenerates irritation of the mouth, prevents the formation of tartar. Anticaries action, sanitizer, antiseptic. Avoid Halitosis and the sensation of dry mouth.